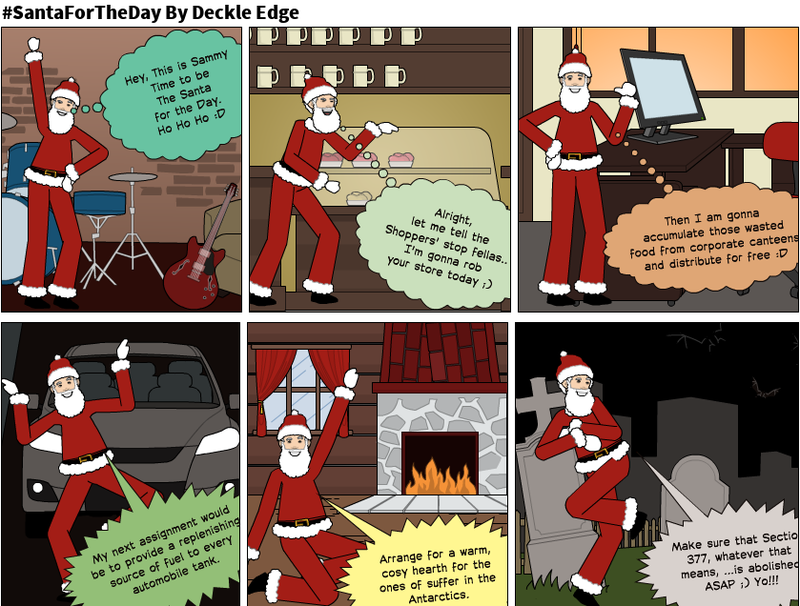 * This comic strip has been prepared to celebrate the essence of Christmas, just in response to Shopper Stop's hashtag #SantaForTheDay. They are celebrating the essence of Christmas with an amazing flat 25% discount at the Shoppers Stop outlets across India (except Chennai) and also on their official website. Merry Christmas everyone & Happy wala shopping.